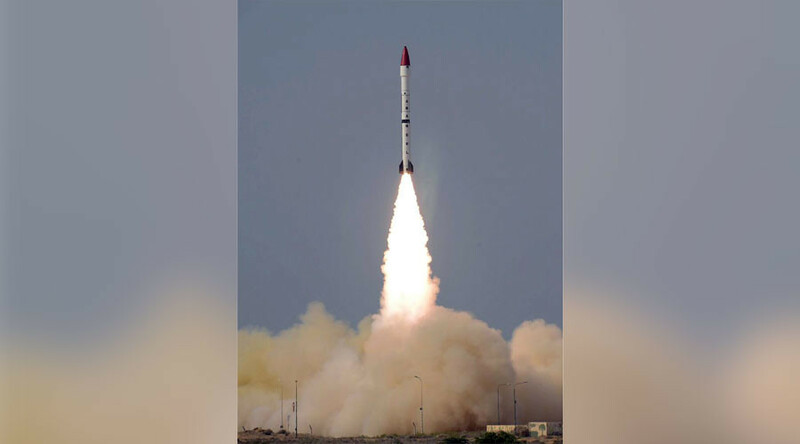 Pakistan has for the first time successfully test-fired its surface-to-surface ballistic missile capable of carrying multiple nuclear warheads, the military press department said. The missile, called Ababeel, has a maximum range of 2,200km and “is capable of delivering multiple warheads, using Multiple Independent Re-entry Vehicle (MIRV) technology,” the Inter-Services Public Relations (ISPR), the media branch of the Pakistani armed forces, said in a press release. It also confirmed that the missile can carry nuclear warheads and is able to “engage multiple targets with high precision, defeating the enemy’s hostile radars.” It was developed as an answer to the “growing … ballistic missile defense” capabilities of Pakistan’s regional neighbors and is designed to “further reinforce deterrence,” the press release says, apparently referring to India’s nuclear arsenal. India tested its own anti-ballistic missile system allegedly capable of intercepting a nuclear-capable ballistic missile last year, Reuters reports. The Indian Defense and Foreign Ministries have not yet commented on the issue. “The test flight was aimed at validating various design and technical parameters of the weapon system,” the Pakistani statement adds. The test comes two weeks after Pakistan successfully tested its first submarine-based nuclear-capable missile. On January 9, Pakistan launched the Babur-3 cruise missile “from an underwater, mobile platform” somewhere in the Indian Ocean. The missile “hit its target with precise accuracy,” the military said at that time. “The successful attainment of a second strike capability by Pakistan represents a major scientific milestone; it is manifestation of the strategy of measured response to nuclear strategies and postures being adopted in Pakistan’s neighborhood,” the military said following the Babur-3 test, as cited by Pakistan Today. Meanwhile, senior Indian defense officials confirmed they are preparing to deploy more than 460 main battle tanks along the border with Pakistan. The tanks will join the existing 900 or so T-90S Bhishma tanks currently stationed in the area. India and Pakistan, both nuclear powers since the 1990s, are long-term rivals who have been at odds over a number of issues, including the disputed region of Kashmir. Since independence from British rule in 1947 the two countries have fought four wars, two of which have been over Kashmir. Skirmishes periodically erupt over the border. The most recent incident took place in September 2016 when Indian armed forces conducted “surgical strikes” against alleged terrorists operating from Pakistani territory. Following the Indian strikes, Pakistan threatened nuclear war on India.